When Nagarjuna Akkineni hosted the first season of MEK, the show grabbed huge attention from TV audiences and the same reflected in the form of staggering TRP ratings. As the next two seasons couldn’t attract viewers as much as the first season, MAA TV management allegedly replaced Nag with Chiranjeevi. 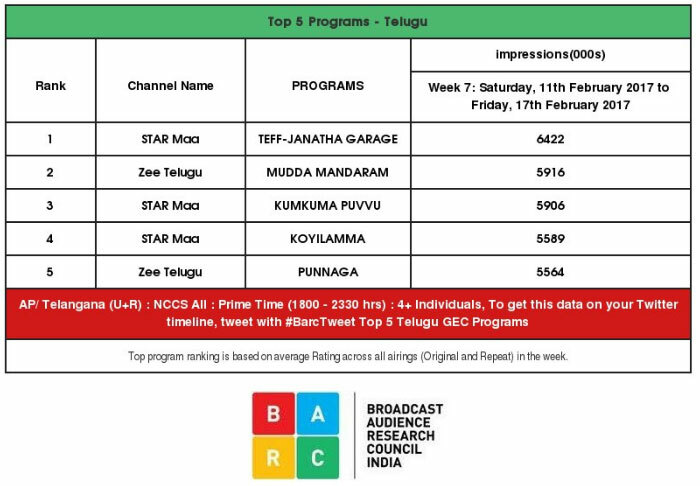 Fans as well as Star MAA management hoped that megastar’s charisma would work big time and draw the attention of TV audiences from daily serials towards the 4th season of MEK. Moreover, as it was the first ever show of Chiru on television, they hoped that audiences wouldn’t miss it. However, the ratings are reportedly shockingly low. If this is the situation in the first week of the fresh season with a new host, organizers wonder how low the ratings might go as the show progresses. The more agonizing factor is the poor performance of MEK4 even after Nagarjuna attended as a celeb guest and the first participant went as far as Rs 1 Cr question in the first week itself. Show organizers don’t understand whether megastar failed to attract viewers or the TV audiences have lost interest on the show altogether. Irrespective of the reason, the poor ratings for MEK4 will surely be an embarrassment to megastar.